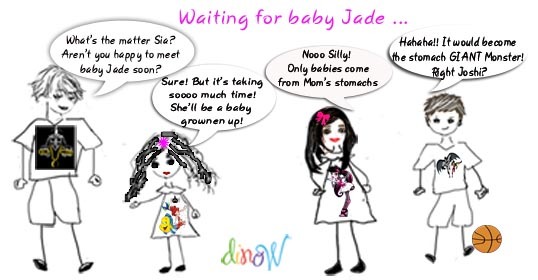 Waiting for Baby Jade to come! It is taking time! 9 whole months! The mom is finding the time long but guess who is more impatient? Siblings and cousins. So curious about this new addition. How will she look? Will she cry all the time? Can we play with her? Hold her, put her to sleep, feed her, even change her? How much attention will she take from mom? Dad? Will she grow fast and play with us? How about school? 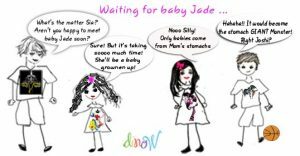 Hmmmm.. Jade is the next big event, a life changing to-be-savored event by all the family, the aunts, cousins, grannies, granddads, uncles…..
← When I want to punish myself….